We are locally owned and operated, and provide personal service and exceptional quality. We have been in business for over 85 years, and our unparalleled service, competitive prices, and overall value are why our loyal customers won't go anywhere else. Unlike other companies, we do not charge fees! That means no Hazmat fees, delivery fees, tank maintenance fees, fuel surcharges, or program fees. We also do not charge for installations or leak tests. The price of propane is the price you pay! 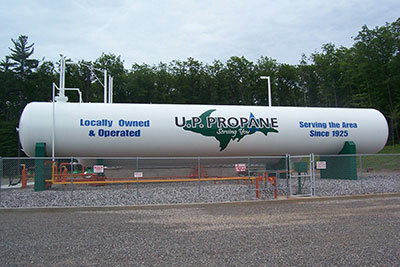 Come find out for yourself the benefits of becoming a valued customer of U.P. Propane. Copyright © 2012. U.P. Propane. All rights reserved.